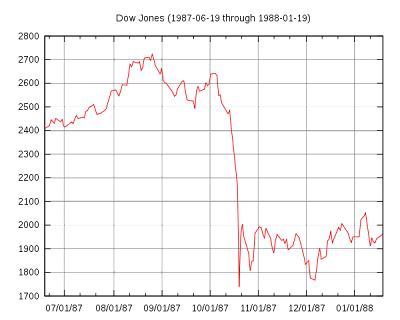 22 years ago, on this day, this was what happened to the stock market... a plunge which rocked the financial world. We survived the scare for now as the Dow Jones Industrial Average is still above 10,000 and with no sign of slowing down. But for how long will this bullish momentum stay intact?